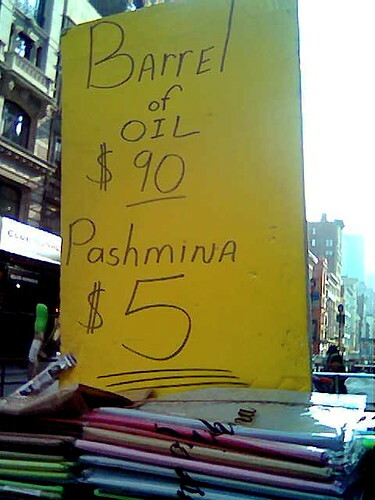 Oil vs. Pashmina, originally uploaded by Sustainable Flatbush. One Soho scarf vendor’s take on Peak Oil. Pashmina? Definitely fake. Probably some kind of petrochemical. For the real stuff, visit sunrise-pashmina.com. Hehehehe… fair enough. Still good street theater!